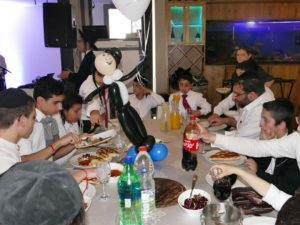 We’d like to share with you the recent, very moving group Bar and Bat Mitzvah event which is so important to our children’s sense of Jewish pride and affiliation. 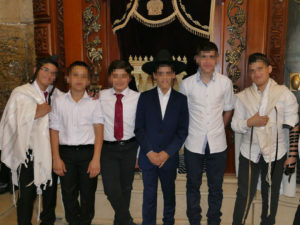 The boys’ program began with prayers in the synagogue of the Western Wall Tunnels where each bar mitzvah boy made an aliyah to the Torah. 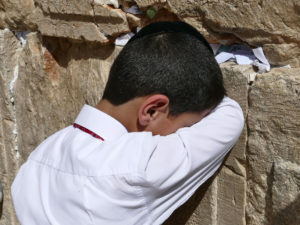 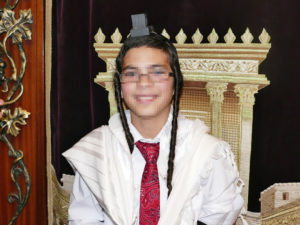 They then experienced the Western Wall Heritage Foundation’s “Time Tunnel” in which the children wore unique 360° vision goggles which create a sense that one is actually standing in the Temple itself, and seeing it as it looked 2,000 years ago. 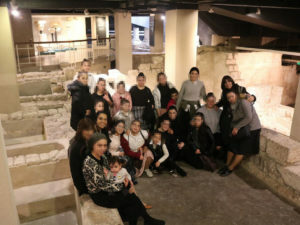 In the meantime, the girls toured the Jewish Quarter of the Old City, visiting the “Burnt House”, a museum comprising a vast underground archeological site of the exclusive Priestly neighborhood depicting in great detail life from Temple times. 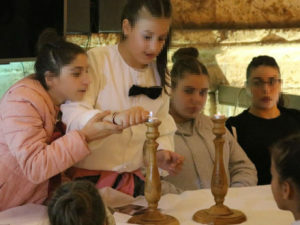 The girls then participated in a very moving ceremony at the Ohel Yitzchak Synagogue in which each girl lit candles in antique candlesticks and also created unique, decorated glass candleholders which will be distributed to Holocaust survivors, deprived of celebrating their Bat Mitzvahs, at their own beautiful Bat Mitzvah ceremony. 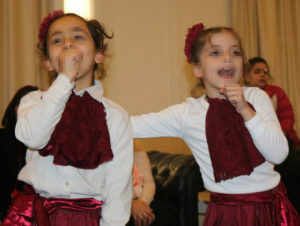 As when lighting Shabbat candles, the girls prayed for themselves, their families, and for the Redemption of Israel. 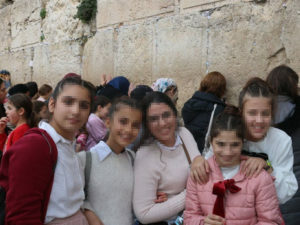 Afterwards, the two groups each went to the Kotel to recite Tehillim and to pray on behalf of all the supporters of Keren Hayeled. 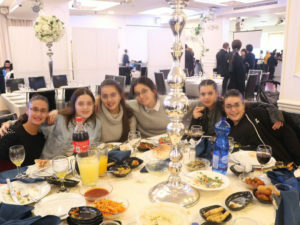 From the Kotel, the boys and girls convened at the luxurious La Belle Hall for a festive and delicious meal in honor of their special day, followed by exciting and entertaining events. 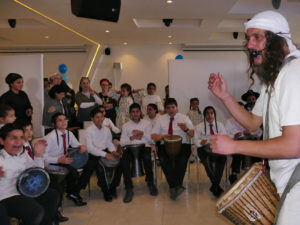 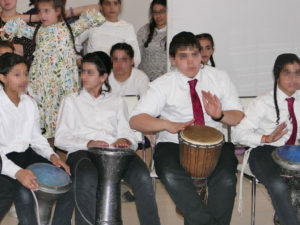 The boys participated in a group drumming event which incorporates Torah ideas and stories in a high-powered, energetic and engaging experience. 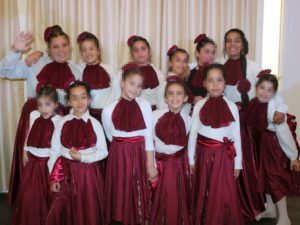 The girls performed a lovely dance presentation. 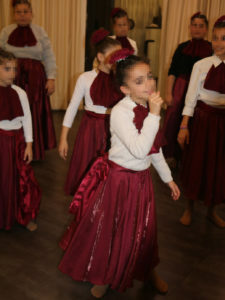 Even the most troubled girls, transformed through our extraordinary Dance Therapy Program, participated and performed with grace and excellence. 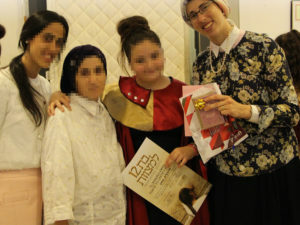 Those who know these girls from the beginning of the year cried with joy over the tremendous progress they’ve made! 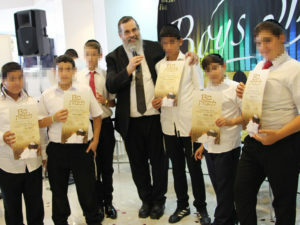 At the conclusion of the event, Executive Director Rabbi Matityahu Godlewsky and Girls Director Rebbetzin Leah Davidowitz presented special bar and bat mitzvah gifts to the children, as well honorary certificates for each child from the Western Wall Heritage Foundation.